Why Focus on Winter Home Improvements? During these colder months of the year, all efforts to make home improvements might be put on hold. However, there are plenty of projects that will keep you busy while you stay comfortable indoors. Here we have listed some ideas for winter home improvements to up your productivity over the next few months. You can benefit from increasing your home’s insulation during the winter. While most homes meet the r-value, the minimum standard of insulation at the time of construction, these values change over time to reflect better energy efficiency standards. The most common place you can add insulation on your own is in the attic space. Usually, loose fill or fiberglass blanket insulation does the trick and can be installed in a single day. Another related task is insulating pipes and ductwork throughout the home. Both hot water and hot air lose energy as they travel, especially through colder areas of the home. Adding an insulation blanket to your water heater is a one-time task with prolonged benefits. By insulating these features, you can save energy and keep your home warmer. While cabin fever might make you want to tear down walls or make drastic changes, these projects can create a feeling of chaos while you’re stuck inside during winter. Remember to keep your winter home improvements manageable, since you still need to live in your home. Kitchen details can be a great way to get creative with projects, freshen up space, and retain your sanity this season. 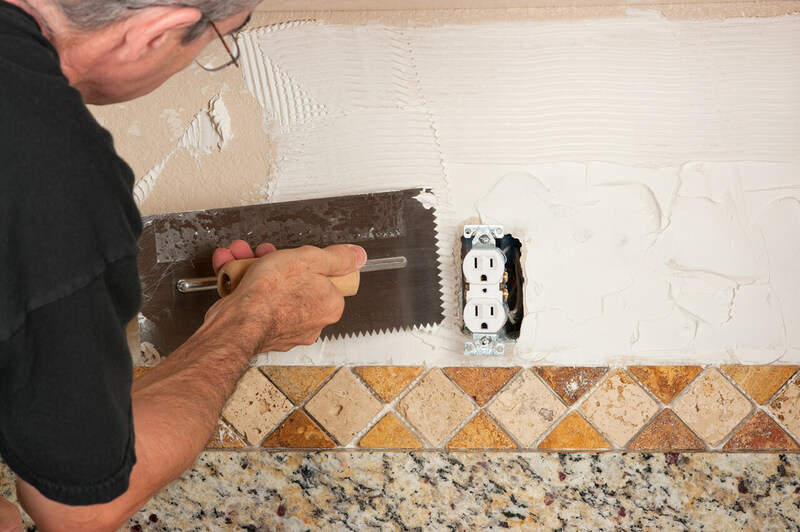 Focus on one project at a time, like installing new countertops or cabinets, installing a new faucet or hardware, putting up a backsplash, or painting the walls. You spend a lot of time in your kitchen, so a few upgrades will go a long way. Another great winter home improvement project that is surprisingly therapeutic is decluttering. Experts advise that you focus on one space at a time to help keep the mood relaxed. Select your starting point, whether it’s the bedroom closet, the medicine cabinet, or the kitchen drawers. Make three piles: keep, donate, or throw away. Floors are often overlooked when it comes to more than routine maintenance. Winter is a great time to do some deep cleaning and care for the surfaces you walk over all year long. For tile in the bathroom or kitchen, perform some much-needed grout scouring and bleaching, and then apply a sealer to protect your hard work. Hardwood floors can be stripped and sanded before reapplying stain, polish, or wax as needed. When it comes to carpets, most home improvement stores rent out heavy-duty carpet cleaning units that will remove the dirt and grime from the rug. Shampoo and rinse the carpeted rooms one at a time. Since they will need to dry thoroughly, also consider bringing box fans to help speed up the process. Winter home improvements are a great way to get a reward for spending time indoors. Your home will feel cleaner and refreshed, and it will improve your mood. Prime Home Inspections provides home inspection services to Western Washington state. Contact us to schedule an inspection.